Vice Mayor Ben Sorensen thinks the city has turned a page in how it treats its homeless population. But he also knows there's a lot of work left to do. In early May, Sorensen moved his office from a cozy air-conditioned space to a homeless encampment next to the Main Library. He works out of a tent, holding meetings with constituents and the public, and spending time with the inhabitants of the camp. 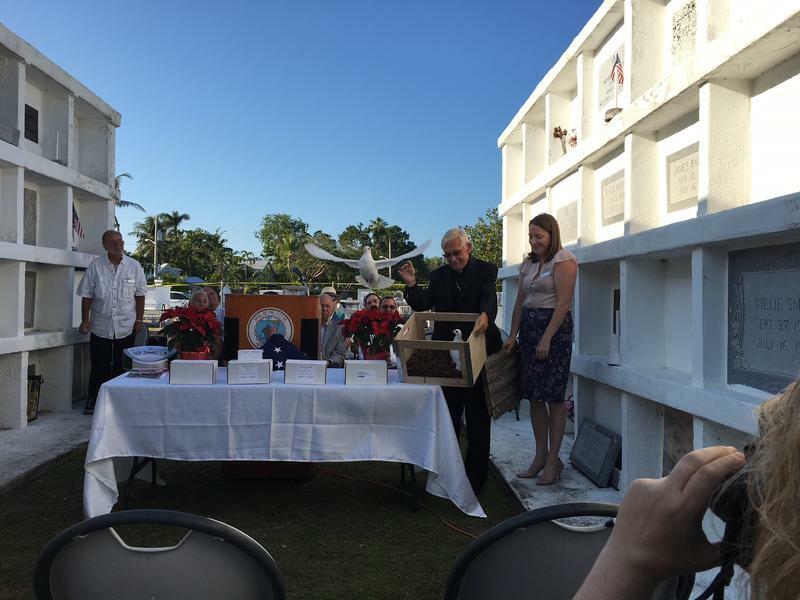 We spoke to him from that encampment to better understand why he did this. 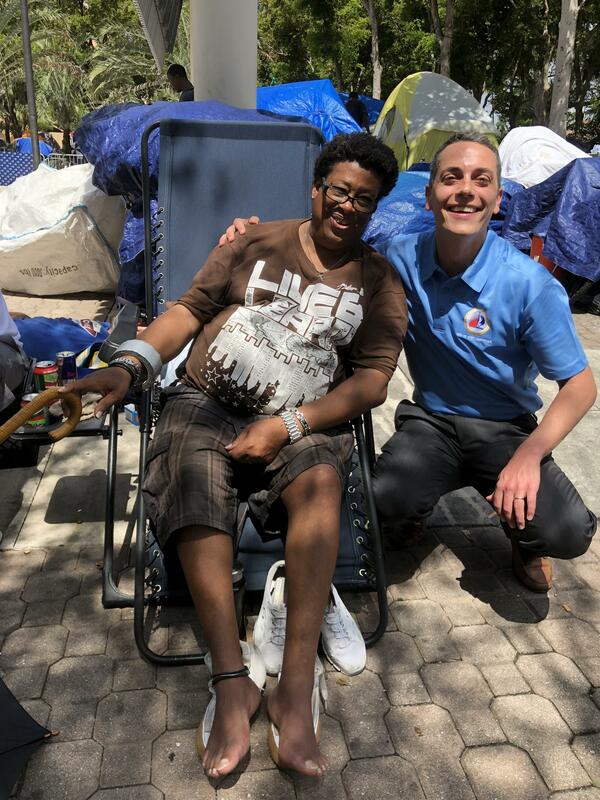 Fort Lauderdale City Commissioner Ben Sorensen recently moved from his satellite office to a homeless encampment to find solutions to the homelessness problem. Sorensen: I moved down here to the encampment so that, one, it's top of mind for me every day when I come to my satellite office here, two, so that everyone who meets with me whether they're meeting with me about sewers or about development projects that they see what we're facing as a community and helping me come up with solutions. Right now as I'm speaking we have United Way caseworkers that are helping to get some folks housing and so that's part of why I'm here - to address these concerns. WLRN: Have you asked any of the other commissioners or the mayor to join you? No I haven't. They're aware that I'm here. I have been talking with the other commissioners and the mayor about homelessness. And we've really, as a commission, really started to come up with some good ideas and some real proactive steps. So I'm really excited about the collaboration we're already finding within the commission to address this. Fort Lauderdale has been scrutinized nationally over the way it's dealt with a homeless population. There were the bulldozers at Stranahan Park. There was the ongoing battle with Arnold Abbott, the 90-year-old man who was feeding the homeless and getting arrested. What does the city have to do to change that reputation? So I think we've already started to go down a little bit of a different path. It’s not about working against a population or against a group of people. It's about working with them and bringing stakeholders in the community to help solve this problem. So right now in Fort Lauderdale and Broward County the business community has been very engaged in looking at solutions. That's a huge win. I met with the county administrator the other day and I'm having good conversations with Broward County commissioners about how we can work together so we aren't going to ordinance our way out of this problem. It's about finding affordable housing, finding supportive services, and finding places these folks can go during the day to get out of the park. And I think we're headed in the right direction. Commissioner, what has your time at the camp been like? One, it's very educational for me and I've spent a lot of my many years recently on homelessness. But there's nothing like sitting down and talking to folks ... just sitting next to someone who's homeless. Her name is Angel and she's had a tough time getting work and finding housing and hearing what her income is, what her challenges have been, why she left her previous housing that she had helps inform me. And it struck me as to what solutions we need to be implementing. Also, it’s trying to get the folks that are here and saying ‘hey if we're able to offer you this service or this this housing option is that's something you'd be interested in because we can come up with all kinds of solutions.’ But if there aren't solutions that these folks are interested in partaking in we're spinning our wheels. 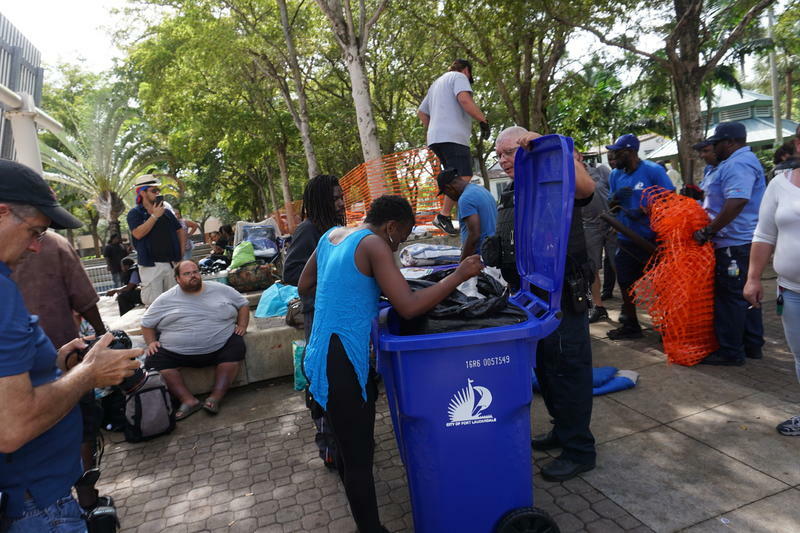 There was a Sun-Sentinel report that said there are roughly 300 homeless in the Fort Lauderdale community that continuously refuse services. How do you support a population that doesn't want your help? 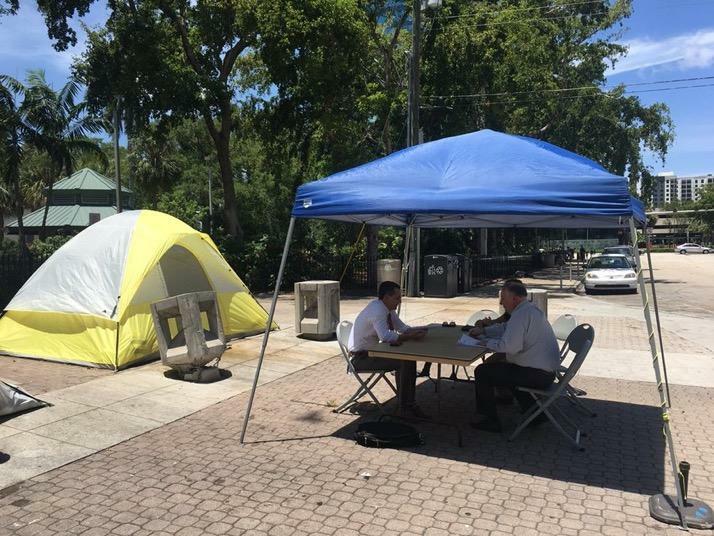 Fort Lauderdale city commissioner Ben Sorensen makes the effort to meet the inhabitants of the homeless encampment to figure out their individual stories. So I think that's a big challenge. I have yet to interact with folks that say I don't want any help, I don't want affordable housing, I don't want supportive services. Folks are very interested and very eager for a hand up and I think that's what's key here. Is there a community anywhere in the country that you could say you can point to and say they've achieved amazing success in helping the homeless population that we could possibly emulate? 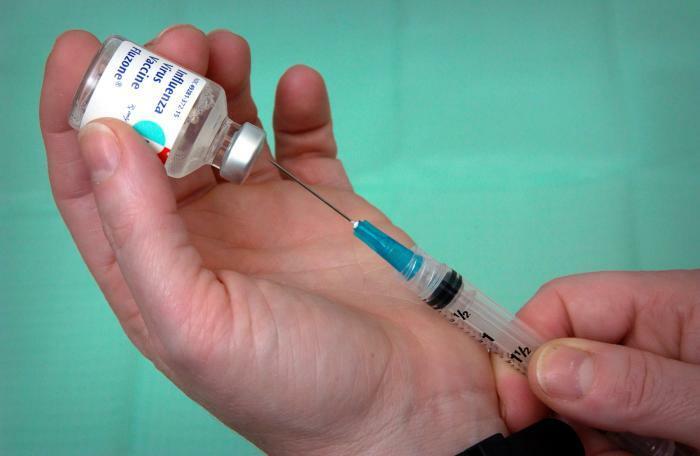 Utah has done a phenomenal job in dramatically reducing its homeless population. Orlando has a great model that's working very well. And what you see is common among all these cities and states that do this really well is collaboration. We are willing to let down our turf issues and find solutions. Broward County has what's called the continuum of care board, which is a great bringing together of service providers to work together. I'm not a very patient person and I think we've really got to create greater urgency around finding solutions as soon as possible. We come back to the issue of affordable housing. Do you have any sort of plan, whether it's a tax plan or any kind of policy that can really lead and push toward creating more opportunities? 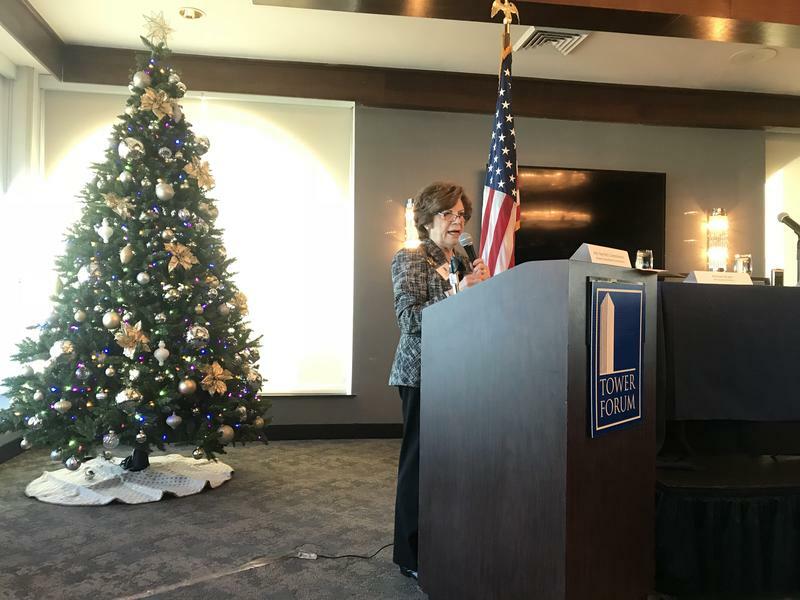 Fort Lauderdale City Commission has really made affordable housing a top priority as we interact with folks who are developing and building here. And then additionally we have some very exciting partners that are coming forward and saying hey, we're interested in building affordable housing in Fort Lauderdale. So we're starting to see a lot more of this movement coming down the pipe. How long are you going to stay out there? You know I don't know but I feel the need to really stay out here until I feel like we've got a really good direction on this, that we have a really good plan in action and that we're really moving these folks into a better condition. And if that takes a long time then I'm willing to stay here to help get that solution going.